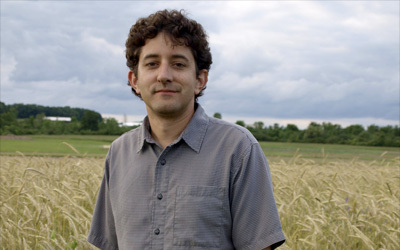 In a feature story, Creating Tastier and Healthier Fruits and Veggies with a Modern Alternative to GMOs, posted online January 23 by Scientific American, author Ferris Jabr explains techniques used by breeders to speed up the breeding process to meet consumer demand for produce that tastes good and is good for you. Mazourek belongs to a new generation of plant breeders who combine traditional farming with rapid genetic analysis to create more flavorful, colorful, shapely and nutritious fruits and vegetables. These modern plant breeders are not genetic engineers; in most cases they do not directly manipulate plant DNA in the lab. Rather, they sequence the genomes of many different kinds of plants to build databases that link various versions of genes—known as alleles—to distinct traits. Then, they peek inside juvenile plants to examine the alleles that are already there before choosing which ones to grow in the field and how best to mate one plant with another. In some cases breeders can even analyze the genetic profiles of individual seeds and subsequently select which to sow and which to disregard, saving them a great deal of time and labor. Three and a half years ago, Bjorkman, Mark Farnham of the USDA and their many collaborators decided to breed a new kind of broccoli that would thrive in the eastern part of the country. 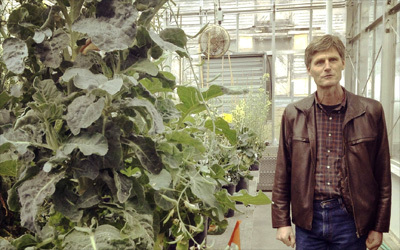 In their lab’s growth chamber Bjorkman and his team have been subjecting broccoli to east coast levels of heat and humidity, keeping seeds only from the plants that grow the most attractive flowering heads under these conditions. Although they have a lot of work ahead of them, they have already bred broccoli that can deal with a few more weeks of summer heat than the cultivars currently grown in the east. Meanwhile, the researchers are searching the genomes of the various plants they grow, looking for genes that explain why some broccoli fares better than others. Finding them could shave years off the journey toward their ideal plant.